- An Albanian born, Roman Catholic nun - an internationally acclaimed humanitarian, who devoted more than 4 decades of her life in attending to and taking care of underprivileged people. - Founder of the Charity Missionaries in Calcutta, India in 1950, that subsequently grew to 610 charities in 123 countries by the time of her death in 1997. - Recipient of several awards and recognitions in her lifetime, most notably: Nobel Peace Prize, Bharat Ratna (highest honor in India), and Ramon Magsaysay Award for International Understanding. 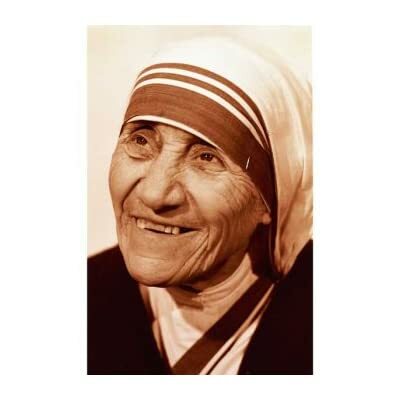 Also proclaimed as an "Honorary Citizen of the U.S" in 1996, and was consistently found to be the single most widely admired person in the U.S.
What is Inspiring in Mother Teresa Biography? Right from an early age of 12, she wanted to commit to a spiritual life, in the service of people. At 18, she left to join a missionary, and never saw her family after that. She started her work in India, but was soon troubled and moved by the plight of the poor in the country. In 1948, she decided to devote her life helping the needy - while living amongst them - and that step is what makes her service distinguishing from so many other great humanitarians around the world! She took an Indian citizenship, broke out of her convent, and ventured into slums. During the initial years, with no income, she actually had to go out and beg for food and other essentials, and was often tempted to get back to her comfortable life in convent. But she never gave in to that temptation! In 1950 she started her first Charity Missionary, with 13 members, to take care of people who were unwanted, unloved, and uncared for by rest of the society. Couple of years later, she also started her Home for Dying - to provide medicines and also an opportunity to die in dignity. Soon her charities spread outside of India, and expanded their services to include hospices, homes for HIV and leprosy infected, soup kitchens and orphanages. Ironically, she only visited her home country Albania again in 1991, for the first time since she left, to open a charity. After her death, she was given the title "Blessed Teresa of Calcutta" by Pope John Paul II. Mother Teresa received a State Funeral in India, in honor of her contributions. Golden Globe winner Olivia Hussey illuminates the life story of Mother Teresa in this 2003 biographical portrayal called Mother Teresa.